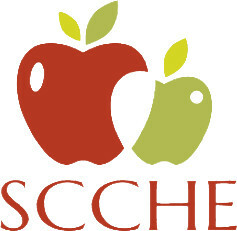 Sugar Creek Christian Home Educators is a private member support group for Christian families committed to supporting and encouraging one another in the homeschool journey. We serve the southwest Houston, Texas area, with most of our members residing in Houston, Missouri City, Richmond, Sugar Land, and neighboring communities. First, Sugar Creek Christian Home Educators is Christian. All that we do is built upon the foundation of the Lordship of Jesus Christ over heaven and earth. There is but one God, and He has been revealed in his written Word, the Bible, and in the living Word, Jesus Christ. Second, homeschooling is our purpose. We support families committed to the education of our children through homeschooling endeavors, and all that we do as an organization focuses upon that end. We limit our activities and involvements to fit this purpose. Third, we act cooperatively, associating together in order to jointly serve so that we might reap the benefits of enhancing the education of our children.